Enter the SSRS Report URL. Either the current user or specify a user. 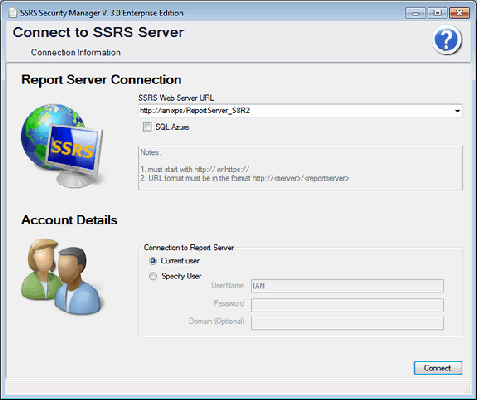 Note Security Manager Enterprise edition works with SQL Azure Reporting and forms authentication. Use the blue arrow above to go to the next screen in the tour.